Here is a collection of stills from "Frozen" (2013), the Disney animated film with a release date of 27th November (US)/6th December (UK). This is a highly anticipated film. Two of the characters are scheduled to become Disney Princesses in 2014! They are Anna (Kristen Bell) and Elsa (Idina Menzel). This should be a fun holiday treat for everyone. In "Frozen," fearless optimist Anna (voice of 'Kristen Bell' ) teams up with rugged mountain man Kristoff (voice of 'Jonathan Groff' ) and his loyal reindeer Sven in an epic journey, encountering Everest-like conditions, mystical trolls and a hilarious snowman named Olaf in a race to find Anna's sister Elsa (voice of Idina Menzel), whose icy powers have trapped the kingdom of Arendelle in eternal winter. Encountering Everest-like conditions, mystical trolls and a hilarious snowman named Olaf, Anna and Kristoff battle the elements in a race to save the kingdom. Josh Gad stars as the voice of Olaf, Alan Tudyk voices the Duke of Weselton, and Jonathan Groff is Kristoff. Prince Hans is named after Danish fairytale poet Hans Christian Andersen. He was the author of "The Red Shoes", "The Emperor's New Clothes", "The Ugly Duckling", "The Steadfast Tin Soldier", "The Little Match Girl", "The Little Mermaid", and "The Snow Queen"; the last of which the movie is based on. This is hardly the first Hans Christian Andersen fairytale to be turned into a top animation film. Disney Animation also adapted the following Andersen tales into animated short or feature-length films: The Little Mermaid, The Little Matchgirl, "The Steadfast Tin Soldier" segment in Fantasia/2000, the "Ugly Duckling" plot element in Lilo & Stitch, and the title of The Emperor's New Groove, derived from that of "The Emperor's New Clothes". Walt Disney Animation Studios has been hard at work trying to film this particular tale. "The Snow Queen" was to be turned into an animated film in the 2000s, but it never worked. They first tried it in 2002, and master animator Glen Keane infamously quit the project, then it was scrapped. "The Snow Queen" rose from the dead again in 2009, when John Lasseter recruited directors Kirk Wise and Gary Trousdale (Beauty and the Beast, The Hunchback of Notre Dame, Atlantis: The Lost Empire) to helm the project. Producer Don Hahn and writer Linda Woolverton also signed on to the project. The famed composers Alan Menken and Glenn Slater were commissioned to write the songs. In 2010, however, the film was put on hold again as Disney tried to put together a better script. "Frozen" is filmed in the ultra widescreen film format, the first since 1959's "Sleeping Beauty." 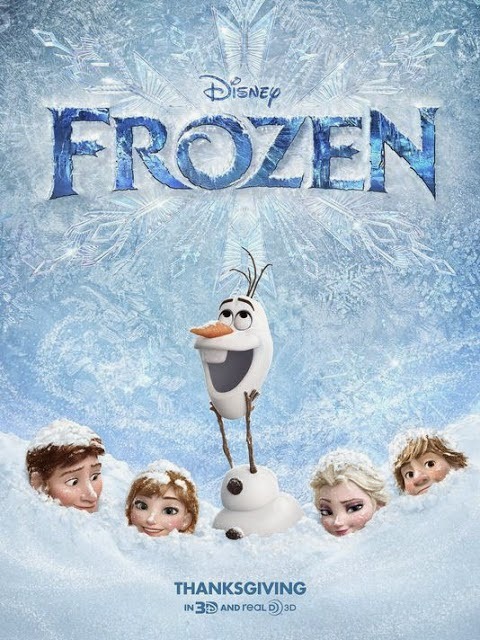 You may view my full review of "Frozen" here. I point out some hidden "Easter Egg" type images in "Frozen" here. 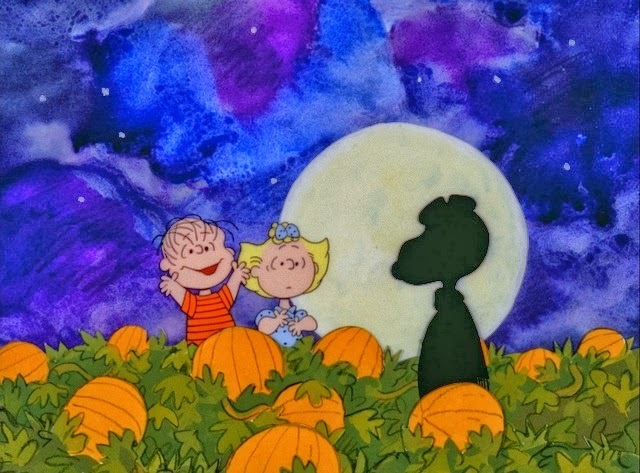 The classic animated Halloween-themed PEANUTS special, “It’s the Great Pumpkin, Charlie Brown” (OAD on ABC 10/30/01), created by late cartoonist Charles M. Schulz, as well as a bonus PEANUTS cartoon, “You’re Not Elected, Charlie Brown,” in which Linus runs for class president, will air THURSDAY, OCTOBER 31 (8:00-9:00 p.m., ET) on the ABC Television Network. The program will air with Spanish audio via SAP. “It’s the Great Pumpkin, Charlie Brown” was executive-produced by Lee Mendelson and created and written by Charles M. Schulz. Bill Melendez is the producer and director and Vince Guaraldi is the music composer. “You’re Not Elected, Charlie Brown” – in which Linus runs for class president with Lucy and Charlie Brown managing his campaign -- features Chad Webber as Charlie Brown, Robin Kohn as Lucy, Stephen Shea as Linus, Hilary Momberger as Sally and Todd Barbee as Russell. “You’re Not Elected, Charlie Brown” was written by Charles M. Schulz, directed by Bill Melendez and produced by Lee Mendelson and Bill Melendez. The original music was composed and performed by Vince Guaraldi. On October 2, 1950, the PEANUTS comic strip launched in seven American newspapers. Who would have guessed the impact the brand would have around the world for decades to come. Nearly 60 years later, the comic strip appears in over 2,200 newspapers, in 75 countries and 21 languages. PEANUTS animated specials have become a seasonal tradition and thousands of consumer products are available in virtually all retail channels. Charlie Brown kicking the football, Linus and his blanket and Lucy leaning over Schroeder’s piano are images to which everyone can relate. Such phrases as “Security Blanket” and “Good Grief” have become a part of the global vernacular. Lee Mendelson and Bill Melendez’s association with Charles Schulz stretches back to 1965 with “A Charlie Brown Christmas,” which debuted on CBS in 1965 with Mendelson as executive producer and Bill Melendez as animator and director. The three men continued their long-term association until Schulz’s death, working together on 50 PEANUTS network specials and four feature films. The network specials won five Emmys, two Peabodys and 18 other Emmy nominations. The PEANUTS characters and related intellectual property are owned by Peanuts Worldwide LLC, a joint venture owned 80% by Iconix Brand Group, Inc. and 20% by members of the Charles M. Schulz family. Iconix Brand Group, Inc. owns, licenses and markets a growing portfolio of consumer brands including CANDIE'S (R), BONGO (R), BADGLEY MISCHKA (R), JOE BOXER (R), RAMPAGE (R), MUDD (R), MOSSIMO (R), LONDON FOG (R), OCEAN PACIFIC (R), DANSKIN (R), ROCAWEAR (R), CANNON (R), ROYAL VELVET (R), FIELDCREST (R), CHARISMA (R), STARTER (R), WAVERLY (R), ZOO YORK (R), and SHARPER IMAGE (R). In addition, Iconix owns interests in the ARTFUL DODGER (R), ECKO (R), MARC ECKO (R), ED HARDY (R) MATERIAL GIRL (R), PEANUTS (R), and TRUTH OR DARE brands. The Company licenses its brands to a network of leading retailers and manufacturers that touch every major segment of retail distribution from the luxury market to the mass market in both the U.S. and worldwide. Through its in-house business development, merchandising, advertising and public relations departments Iconix manages its brands to drive greater consumer awareness and equity. After ten years of waiting since the original "Finding Nemo," there finally is a sequel in production. Insiders say that the sequel, titled "Finding Dory" at this point (always subject to change), is having some actors coming in to record their voices. "Yeah I've already started. It’s even better than the first. It’s fantastic. It’s good to say I think it’s going to be better than the first; that’s good advertising!" Since these films usually take about five years from start to finish, and the projected release date is June 17, 2016 in the US and July 29 in the UK, this implies there has been a lot of work already done. However, the studio hasn't released any still or other promotional material, so it's still fairly early stages in terms of actual footage. "Finding Dory" (if that indeed turns out to be its name) will feature the voices of the original "Finding Nemo" stars Albert Brooks, Ellen DeGeneres and Willem Dafoe as Gill. Newcomers will be Diane Keaton and Eugene Levy as Dory's worried parents, and Ty Burrell as Bailey the Beluga whale. Andrew Stanton directs from a screenplay by Victoria Strouse. We'll keep you posted as things develop over the next few years. Rio 2 Official Trailer #2 (2014) in HD. The main characters all return, Jewel voiced by Anne Hathaway, Blu by Jesse Eisenberg, and directed by Carlos Saldanha. 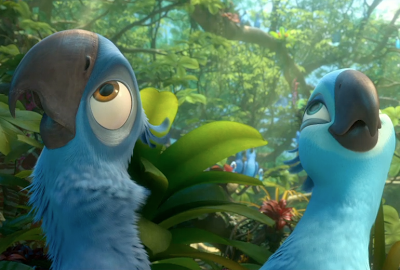 "Rio 2" is scheduled for an April 11, 2014 opening (April 4 2014 in the UK). This is a very colorful trailer which shows that the animation for "Rio 2" promises to be superb. 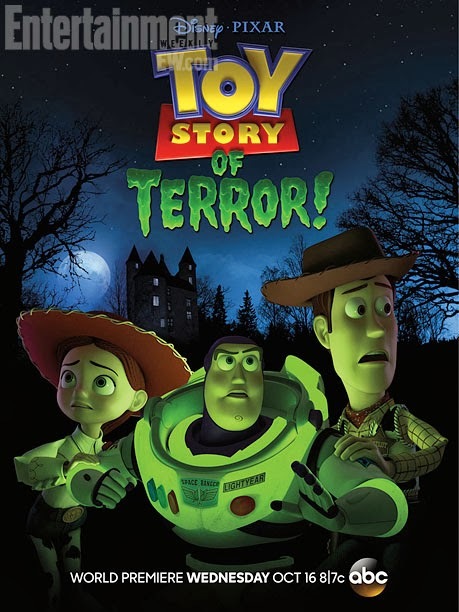 "Toy Story of Terror" - Mr. Potato Head Goes Missing! Toy Story of Terror. Just another sneak peek, released by ABC on October 4, 2013. Mr. Potato Head goes missing, oh no! Some great music on this soundtrack, composed by Michael Giacchino, which will be available for download on October 15, 2013. A Quick Peek at some Stills from "Frozen"
Some nice stills. Obviously, the animation for "Frozen" is top-drawer and a pleasure to the eye. Nobody has seen the film yet, so your guess is as good as ours on what some of them show. "Historically speaking, animating female characters are really, really difficult, 'cause they have to go through these range of emotions, but they're very, very -- you have to keep them pretty and they're very sensitive to -- you can get them off a model very quickly." "Having a film with two hero female characters was really tough, and having them both in the same scene and look very different if they're echoing the same expression; that Elsa looking angry looks different from Anna being angry." "Frozen" opens on November 27, 2013 in the United States and on December 6, 2013 in the UK. Long-range projections have it opening north of $35 million and taking in $170 million domestically. "Ella Enchanted" (2007), directed by Kevin Lima for Walt Disney Pictures, is a hybrid animation/live action film along the lines of many classic films, including but certainly not limited to "The Incredible Mr. Limpet," "Anchors Aweigh," even "Xanadu." Disney itself had incredible success with the genre in 1988's "Who Framed Roger Rabbit," a film for which they used Steven Spielberg's Amblin Entertainment, but Disney has so many irons in the fire that it took almost twenty years to get back around to a follow-up. The "Ella Enchanted" project is fascinating on many different levels, and it is easy to to see it as a major inspiration for the successful Disney television series "Once Upon a Time" (though everybody involved with the series undoubtedly would vehemently deny any association whatsoever). 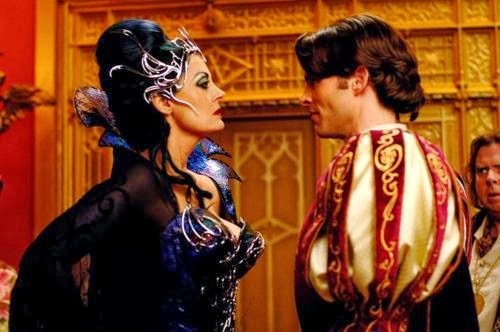 "Ella Enchanted" was a nice success for all involved, but it is one of those Disney films that still gets overlooked in the overloaded universe of Disney classics. Here, though, "Ella Enchanted" will receive its due. Queen Narissa rules Andalasia, the animated fairytale land which opens "Ella Enchanted." Her stepson, Prince Edward, is at that age where he is looking for love, which is a threat to the Queen as ruler. Edward does indeed meet someone, a pretty young peasant girl named Giselle who he happens to hear singing about true love. The Queen's henchmen, Nathaniel, seeing Edward's infatuation, sets loose a troll that he and Edward have just caught in hope it will destroy Giselle, but Edward rescues Giselle. They pledge their love, and Edward proposes. All of this displeases the Queen. She casts a spell upon the naive Giselle and banishes her from Andalasia, sending her to real-life New York City - the "Big Apple." Wandering about in confusion, Giselle is noticed by Robert, a divorce lawyer who has a sweet young daughter, Morgan. Robert intends to propose to his girlfriend, Nancy, but Morgan is opposed. Robert rescues Giselle from potential trouble, and Morgan likes her, so they bring Giselle back to Robert's apartment. Back in Andalasia, Pip, Giselle's pet chipmunk, has witnessed the banishment of Giselle by Queen Narissa. 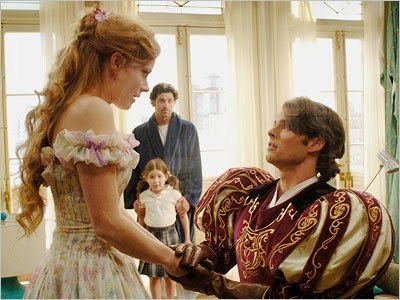 Pip tells Edward, and together they follow Giselle to New York. Nathaniel, meanwhile, is tasked with doing away with Pip by the Queen, who she learns found out about her plan to poison Giselle, so he also travels to New York in pursuit. Edward spots Giselle on television, which sets him off in pursuit. Giselle is welcomed at Edward's home despite the fact that Nancy does not want her around. Being very sweet and naive, Giselle decides to reconcile Edward and Nancy by arranging for them to attend the "King and Queen's Costume Ball." Naturally, Edward and Giselle begin to enjoy each other's company more and more. Queen Narissa is not pleased that Nathaniel has been unable to rid her of Giselle once and for all. She decides, therefore, to come to the real world and finish the job herself. Edward tracks Giselle down to Robert's apartment, but by now Giselle likes Robert and Morgan so much that she is unsure of whether to leave. Giselle and Edward go on a date, which takes them to the same costume ball being attended by Robert and Nancy. The two couples meet up, and when they switch partners during a dance, Edward and Nancy develop an attraction for each other, as do Robert and Giselle. Queen Narissa attends the ball disguised as an old hag and manages to poison Giselle with a poisoned apple, but then her disguise is removed and everyone learns her evil plan. Nathaniel switches sides and tells the others that the effects of the poisoned apple can be reversed only if somebody saves Giselle with "love's true kiss." Edward kisses Giselle, but it has no effect. Robert then tries at the others' urging, and Giselle awakens. Narissa becomes enraged and breaks free from her captors, then turning herself into a dragon which takes Robert hostage. Giselle follows them to the top of the Woolworth Building, and Pip helps Giselle to send Narissa over the edge, falling to her death. Everyone lives happily ever after, Edward, Nancy and Pip in Andalasia, Giselle and Robert in New York City. 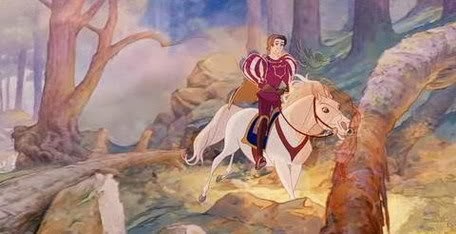 Only about ten percent of "Ella Enchanted" is animated, but it is of high quality. 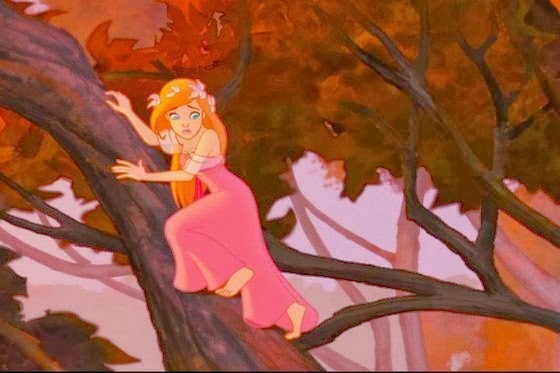 Since "Ella Enchanted" is an affectionate homage to all sorts of Disney films of the past, both live-action and animated, Disney decided to go retro and counter-trend by using traditional cel animation. Unfortunately and unwisely, Disney had fired all of their own animators just a few years previously with the triumph of computer-generated animation, so Disney was forced to hire its own former animator James Baxter, who had gone off to start his own studio. Baxter was a veteran of some of Walt Disney Feature Animation's biggest hits, having drawn Jessica Rabbit, Belle from "Beauty and the Beast," Rafiki from "The Lion King" and Quasimodo from "The Hunchback of Notre Dame," so he was likely the guy they would have gone to anyway if they hadn't fired him. Baxter used an Art Nouveau theme for his characters, to great effect. Disney films wisely since have returned to traditional hand-drawn animation, leaving their CGI films to (now) subsidiary Pixar. The "Ella Enchanted" cast was led by Amy Adams, a successful actress and former Hooters waitress who had not yet broken through to leading roles. After "Ella Enchanted," Adams became more well-known, and now is perhaps most recognizable as Lois Lane in "Man of Steel." 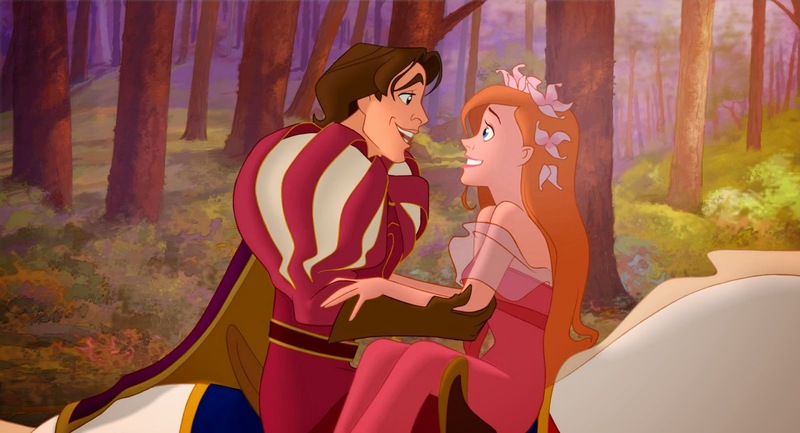 Teen heart-throb Patrick Dempsey plays Robert, James Marsden is Prince Edward, Timothy Spall was cast as Nathaniel (sort of a "Huntsman" figure), and Idina Menzel is Nancy. Susan Sarandon, a native New Yorker who must have loved filming there and flouncing through the streets acting imperiously, is suitably bitchy as Queen Narissa. Sarandon does a nice take on all the many nasty evil queens in the Disney oevure, beginning with Snow White's nemesis in "Snow White and the Seven Dwarfs" and continuing through "Sleeping Beauty" and many other films. Fans of Disney films will be most delighted, though, by the use of the original Mary Poppins herself with her perfect diction, Julie Andrews, as the Narrator. Alan Menken, who worked on such Disney Renaissance classics as "The Little Mermaid," "Aladdin" and "Pocahontas," teams up with fellow-veteran Stephen Schwartz for the excellent soundtrack. Disney has not worked overtime promoting Giselle as a Disney Princess for practical financial reasons - that Giselle never wound up actually becoming a princess hasn't stopped them before - but most little girls happily would place her in that category. A lot of fine work went into this production, the talent is stellar, and the film's neglect is unfortunate. We need to be honest here and admit that not everyone is a huge fan of Disney films, especially their live-action ones. Even Julie Andrews herself is famous for thinking the images of Disney characters are a bit too prissy and pure (she used to drive around with a bumper sticker that said "Mary Poppins is a junkie"). "Ella Enchanted" is a knowing take-off on so many old Disney classics that probably only the director knows all the references, but at heart it is, essentially, as Disney as films get. You must decide for yourself: do you like Disney films, or don't you? That will determine whether you enjoy "Ella Enchanted," because it embodies and re-uses all the classic elements of Disney films, from the poisoned-apple bit on down. The importance of liking family-friendly fare is underscored by the fact that the original script by Bill Kelly for "Ella Enchanted" was considered too "racy" and substantially toned down, resulting in production delays. Just how racy could an idea about a fairytale princess come to life be, anyway? Let us assume that, since you are still reading, you do enjoy and appreciate Disney films. In that case, "Ella Enchanted" is an absolute treat. The switches between live-action and animation are flawless, with the costumes maintaining continuity in both Andalasia and New York. The character of Morgan, a guileless young girl who no doubt represents a core section of the intended audience, is sweet and helpful, and she moves things in the direction she knows from the start they must go in that Disney-kids sort of way. Comparing this to the television series "Once Upon a Time" (notice how similar the advertising for the two projects is), which series itself has many unique merits, "Ella Enchanted" simply does the whole fairytale-vs.-real world interchange better. 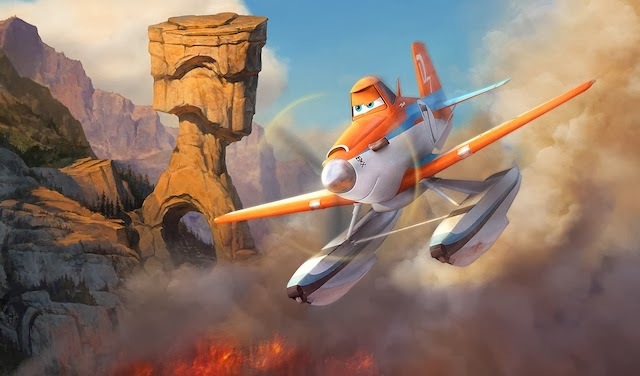 That in large part is because of the animation, which hearkens back in unmistakably direct fashion to all those animated feature films we loved as kids. A sequel has been talked about for years, and probably will happen eventually because "Ella Enchanted made $340 million at the box office and lots more in home video sales. Money talks. "Ella Enchanted" is highly recommended for all who love Disney and all it stands for. Below is the trailer for "Ella Enchanted."